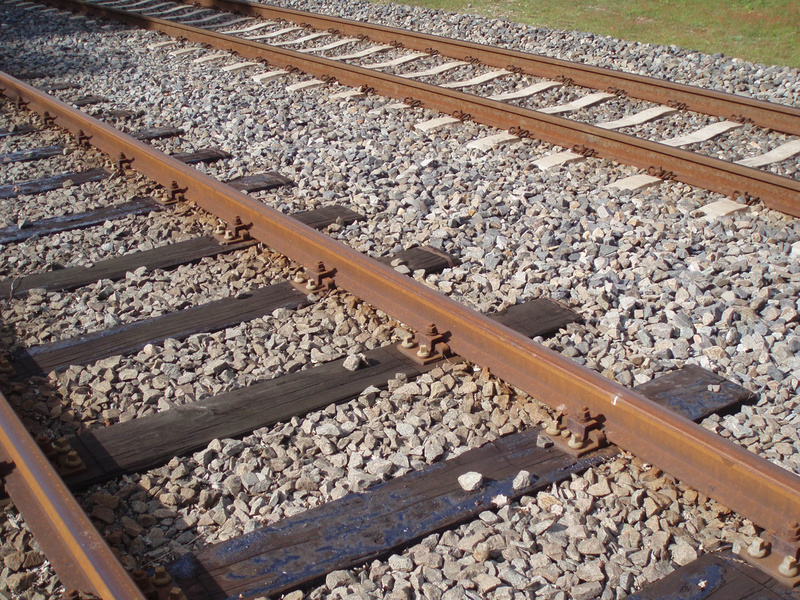 Since the industry was founded a railroad spike, or some type of fastening device, has been employed to hold the rails firmly in place to a tie, or some other form of lateral support. The entire track structure includes the rail, tie, tie-plate, and ballast system all of which have a very important and specific function. The earliest spikes were simply crude nails and within today's modern industry the most common type has been in regular use since the early 1830s (when used in conjunction with wooden ties). In addition, following the development of concrete ties specialized clips have become common, which essentially perform the same function but appear nothing like the typical spike. The spike is one of the most widely recognized pieces of railroad equipment by the general public; whether you work in the industry, enjoy studying it, or even have no interest in trains at all virtually everyone understands what a spike is and its basic function. 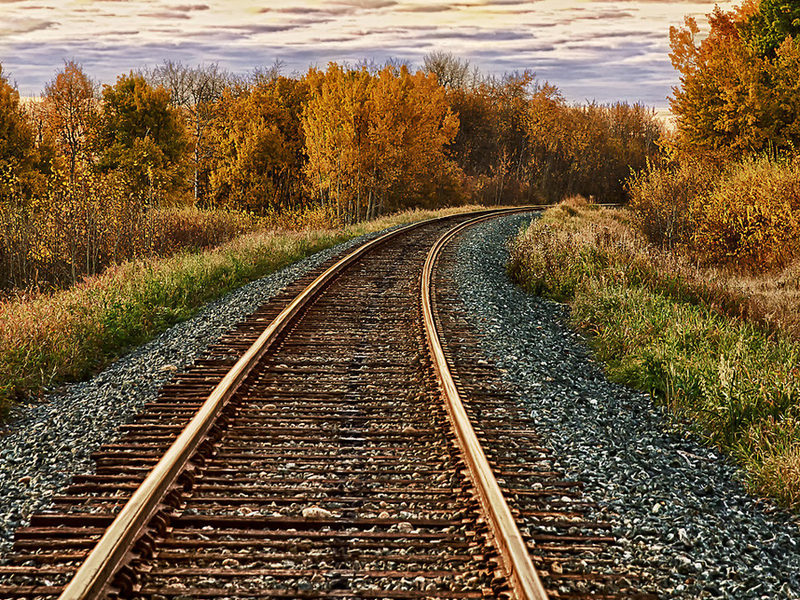 During the industry's early years, however, developing today's railroad spike took some time since there was no established practices in regards to either rail fastening systems or much of anything else related to the operation of trains. The earliest companies such as the Baltimore & Ohio, Camden & Amboy, Mohawk & Hudson, and Delaware & Hudson Canal Company paved the way in setting these future precedents. In particular was the B&O. As our country's first common-carrier the fledgling company's engineers and surveyors often had to guess and use their own intuition regarding how to lay out and construct the right-of-way. According to the book, Baltimore & Ohio Railroad by Kirk Reynolds and Dave Oroszi, this task fell upon surveryor Lt. Colonel Stephen H. Long of the U.S. Army and chief engineer Jonathan Knight. They decided upon an easy 0.6 percent ruling grade with a maximum curvature of 14 to 18 degrees. As it turns out, steam locomotives could handle stiffer grades but required easier curves. Similar issues were encountered in figuring out what materials to use for the track structure and its width. At the time England was the only country producing rolled/solid iron rails. After testing various techniques from wood and stone to iron straps the B&O decided upon the latter system (thin pieces of iron nailed to wooden blocks) held in place longitudinally with wooden crossties. In addition, the B&O opted for the English track gauge of 4 feet, 8 1/2 inches. This width proved to be the industry's standard gauge still used today (although it took several decades before it was officially adopted across the industry). Mounting either strap-iron or solid rails to their wooden or stone crossties also posed a problem. 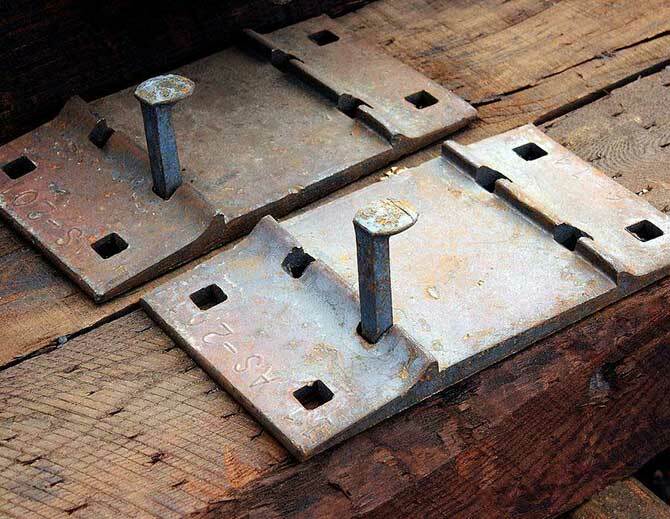 At first, simple nails or pegs were used but this setup proved problematic and unreliable since sometimes these would come loose or simply could not tightly secure the rails to the ties. In short, a better system was needed and thankfully one was developed at the same time the B&O was still building westward from Baltimore, thanks to Colonel Robert Livingston Stevens. He conceived a new design that looked like a flattened "I"-beam with a narrow rail-head (the guide-way for the train's wheels) followed by an elongated base for support. It was a simple but ingenious setup that came to be known as flat bottomed rail but today is commonly known as "T"-rail (flipped upside down it resembles the uppercase letter "T"). Stevens initially ran into problems trying to prove his concept since there were no iron works then in operation within the U.S. So, he sailed to England and had 500 pieces of rail, 15 feet long (weighing 36 pounds per yard) rolled in early 1831. These would later arrive in Philadelphia that May and placed into service on the Camden & Amboy (the C&A later comprised part of Pennsylvania Railroad's four-track Northeast Corridor, which remains an important artery under Amtrak today), a company which Stevens was president at the time. It was the first use of "T"-rail in the country and eventually caught on with other railroads. Colonel Stevens also invented a large, hooked nail to hold the rail to the tie via the elongated base. It came to be known as a spike, sometimes referred to as a cut spike or crampon, and was a great improvement over earlier nails or "chairs" (These were often used on early English railways which employed basic "T"-shaped rails without a wide base. A wedge-like device, the chair held the rail to the crosstie/sleeper). Over the years variations of Stevens' spike have been employed (such as the "dog spike" which utilizes a shortened head with outward facing lugs at the top which aids in the removal process) but essentially, the same basic design has been used for the last two centuries. When tie plates were introduced around 1900 the spike's effectiveness greatly increased. This device, sometimes called a baseplate or sole plate, is constructed of steel and used as part of the track structure when employing wooden crossties; slightly wider (horizontally) on each side the center is flat and smooth in which the rail is housed. The plate has a very wide horizontal base, usually with four holes on each side for spikes to hold the rail and then fasten everything to the tie. Once forced into place the plate provides more lateral support and also helps hold the rail to correct gauge. In the modern age new crossties, such as those made of concrete and composite materials, use a type of clip system and other countries have also used a type of clip even with wooden ties. However, in the U.S. and Canada spikes and tieplates via wooden ties are still the preferred method.